18th September 2008. In this Issue: Finding Updated Places, Membership Update, Site Search, PayPal Added, Best Place Update, Two New Treks - Bungle Bungles - Purnululu NP and Sandy Blight Junction Road. It is with mixed emotions that we launch one of our new Trek Notes. We were just putting the finishing touches to our Bungle Bungles Trek Note when a major tragedy occurred within the Purnululu National Park a few days ago. A scenic flight tour helicopter crashed at the Bellburn Airstrip just after takeoff which sparked a bushfire that spread throughout the area. The three female passengers, aged between 19 and 20 from Kununurra and the 40-year-old male pilot died when the chopper went down. 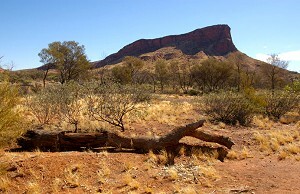 This magnificent National Park in the remote East Kimberley was only recently “discovered” by white people when an aerial photographer who took video footage from a helicopter showed the spectacular Bungle Bungle range with its unique beehive formations to television viewers in 1987. Since then, the majority of visitors to the park come by air with both fixed wing aircraft and helicopters widely available for scenic flights out of nearby Kununurra, Halls Creek, Warnum (Turkey Creek) and during the dry season from within the National Park. Whilst all aircraft have been grounded as a result of this tragedy, visitors can still access the park by vehicle. 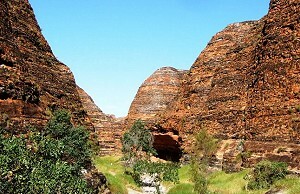 Our Bungle Bungles - Purnululu Trek Note provides all the information you need to plan such a trip. Regular site users will have noticed that in the upgraded look/feel to the Places Index some time ago that the feature showing "latest updates" was removed. This feature has now been re-added - in a new look/feel. The opening map view on the Places Index will show small red icons for all the latest updates - if you click on any of them you will get a quick summary with pic/title and you can choose to click to open the full page feature for that place or continue using the main map. Why not use this feature as your prompt to load up more of your photos and enter additonal descriptive information and facts. ExplorOz Membership has recently been split into two options - you can now chose to join as either a Personal Member or Business Member. All Members enjoy the full range of Member Benefits including Blogs (your ExplorOz hosted webpage). 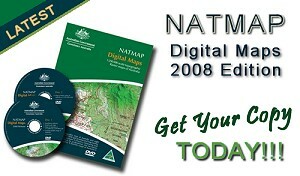 Come and see the Member Entitlements on the Member Rewards page. Also new this week is the addition of PayPal as an accepted payment method for making purchases from theExplorOz online shop. We had lots of great updates since last newsletter but the new winner of the Best Place Update is Member - Mick O (VIC) who created the new reference Camel Valley. A great update with lots of interesting information and photos. Thanks Mike! Keep it coming everyone!